EOn’s mobile app was suffering from poor customer reviews and lacked stakeholder support to improve. External suppliers were deemed to be an issue limiting the development of the app. 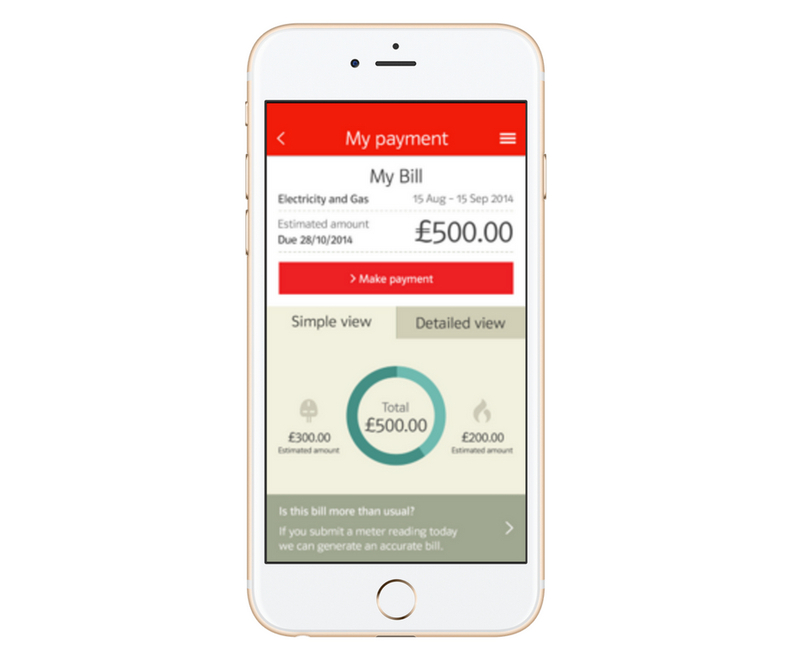 The EOn energy app was intended to allow you to manage your energy account – pay your energy bill, submit meter readings if you don’t have a smart meter, and provide energy saving tips. We were asked to develop a mobile app strategy to guide the short and long-term approach to developing mobile app services for EOn domestic customers. At the same time there was a big focus from EOn group on sharing digital expertise and infrastructure across the Group, in which the UK digital team was perceived as thought-leaders. We identified opportunities for the existing mobile app through customer research and a competitor review. Missing features, frustrations and key features were identified to create a pipeline of improvements. We introduced a programme governance framework to manage the development pipeline and enable the team to react to changing priorities. We identified mobile app KPIs and introduced regular reporting to illustrate the extent of customer support for the app and track the impact of the development pipeline. An internal engagement approach was taken to ensure that senior stakeholders and key influencers were on board with promoting and developing the app. This short-term strategy delivered a 64% increase in monthly unique log-ins to the app and improved reviews on the app stores. We developed a visionary strategy to govern the future direction of mobile app services for Eon UK designed to exceed customer expectations and deliver a competitive advantage. The concept was brought to life with a working prototype which accurately illustrated the opportunity and enabled us to gain traction within the UK and also from other group companies. This helped to establish EOn UK as digital leaders within the wider EOn group. The concept was rolled into a new digital approach for EOn UK which included a new content management platform and digital services solution.